We Stick by What Works for Your Business. 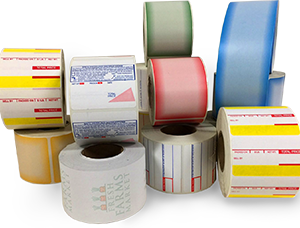 Manufacturing and supplying custom labels and patented label products since 1985. 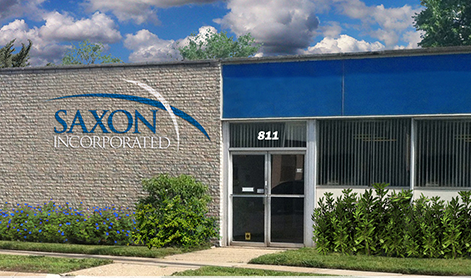 For over 30 years, Saxon Incorporated has been specializing in the manufacturing, development and delivery of pressure sensitive label products and die cut loyalty tools. Located in Ferndale, Michigan, we provide our clients with leading edge custom business solutions which support many industries across the globe. Our Exclusive "Peel Off Business Cards™"! Must Have For Every Business Professional! Click the button below to find out more! 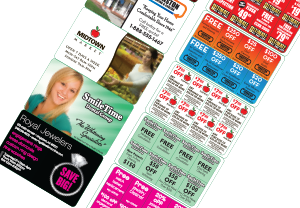 Along side this innovative business card, we offer our flagship Peel-A-Deal® Coupon Cards and other Specialty Products. Peel-A-Deal has grown from a single card size into many unique and original product offerings. 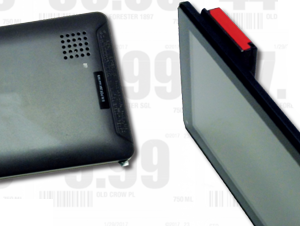 Designed and patented to advertise, market and brand through driving customer traffic, Peel-A-Deal measures results. It offers convenience and ease of use to all end users by giving customers a credit card size coupon card that can be carried in either wallets or purses. Each card provides sticky coupons that are easily peeled off and can be re-affixed to a tracking record for measurement. This popular and patented Peel-A-Deal product continues to grow with new applications and return on investment accountability. It is a loyalty card that gives every customer a reason to come in for business or repeat their visits. Saxon, Inc. is also proud to introduce “Your Better Business Card”. These high quality “Peel Off Business Cards” let you take your business to the next level! 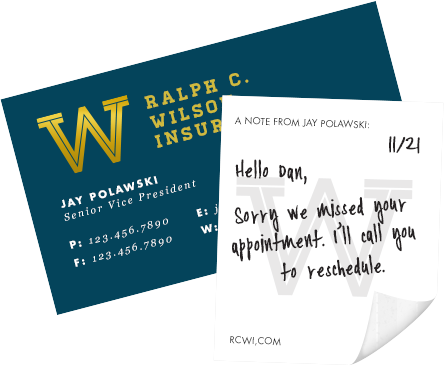 The NEW peel off cards, with removable adhesive on the back, allow you to leave your message without leaving a mark. The perfect multi-functional added touch for your notes, appointments, reminders, and contact info which will keep your business growing and moving ahead. And you can only buy and design your “Peel Off Business Cards” right here. 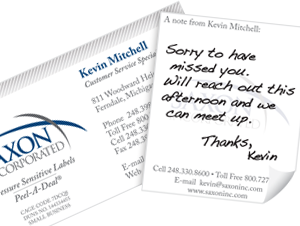 Removeable sticky notes on back of card lets you leave a message without leaving a mark! 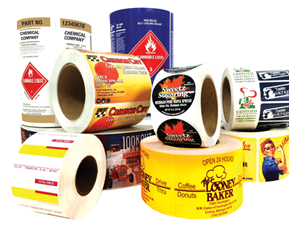 A large variety of options to meet your label requirements! A coupon promotion in a credit card format! We manufacture Direct Thermal Weigh Scale Labels for all brands of electronic scales! 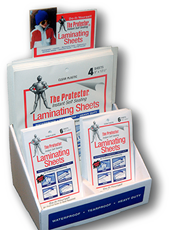 We offer high quality specialty products, including Label Holders, The Protector and the Power Patch. A direct liquor online ordering app with scannable bar coded price tags.